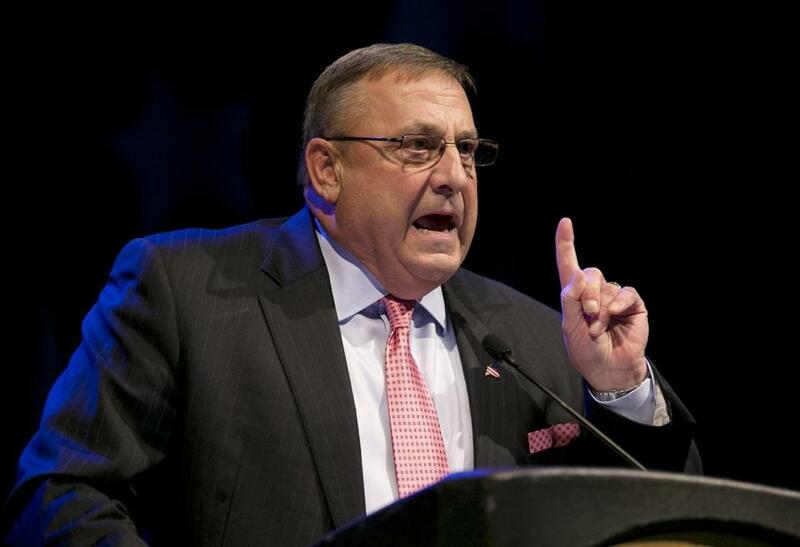 AUGUSTA, Maine — Governor Paul LePage’s political foes say recent reports that he held meetings with an antigovernment group — one that a new book links to a domestic terrorist movement — raises concerns about his personal beliefs and judgment. But despite attacks from his opponents in the close three-way battle for the Blaine House, the latest controversy surrounding the Republican governor with a tendency to speak bluntly won’t likely erode support from his loyal base, political observers said. Even so, it could affect fund-raising and further galvanize voters already eager to defeat him in November, they said. ‘‘I think that it’s different than the off-the-cuff comments, and it could have the potential to be more politically dangerous for LePage,’’ said Jim Melcher, a political science professor at the University of Maine Farmington. In an excerpt from an upcoming book, liberal activist Mike Tipping wrote that LePage met with members of the Constitutional Coalition at least eight times last year, citing recordings and documents obtained through the state’s Freedom of Access Act. Tipping links the group to the sovereign citizen movement, which is characterized by antigovernment views and sometimes violence, earning it the label of a domestic terrorist movement from the federal government. Members of the Maine coalition deny they’re associated with the movement, but acknowledge they share many of its views. LaPage spokeswoman Adrienne Bennett said the governor regularly meets with people who hold a variety of ideas, but that doesn’t mean he agrees with all of them. She declined to make him available for an interview. His campaign contends that the issue has been blown out of proportion and that Tipping is trying to damage the governor’s reputation and sway the election. Tipping works for a liberal activist group that has endorsed LePage’s Democratic challenger, Mike Michaud. Yet LePage’s solid base of support — the 38 percent of voters who propelled him to victory in a three-way race 2010 — is unlikely to shift no matter what he says or does, said Christian Potholm, a political strategist and professor at Bowdoin College. ‘‘It’s a phenomenon that’s very unusual in politics,’’ he said. Wayne Leach, a member of the coalition, rejects the notion that they’re radicals and said they’re peacefully trying to eliminate laws and amendments that infringe on their constitutional rights. With about four months until Election Day, the news that LePage met several times with the group — while at the same time refusing to meet with Democratic legislative leaders — drew fierce criticism from Michaud and the third candidate in the race, independent Eliot Cutler. Ben Grant, chairman of the Maine Democratic Party, said the issue will further energize voters already embarrassed by the governor’s often off-color remarks.